The June Oven Is A Smart Oven | OhGizmo! What’s Not To Like About Microwaveable Boots? We live in an age of intelligent appliances. The latest to receive the smart treatment is the countertop oven. 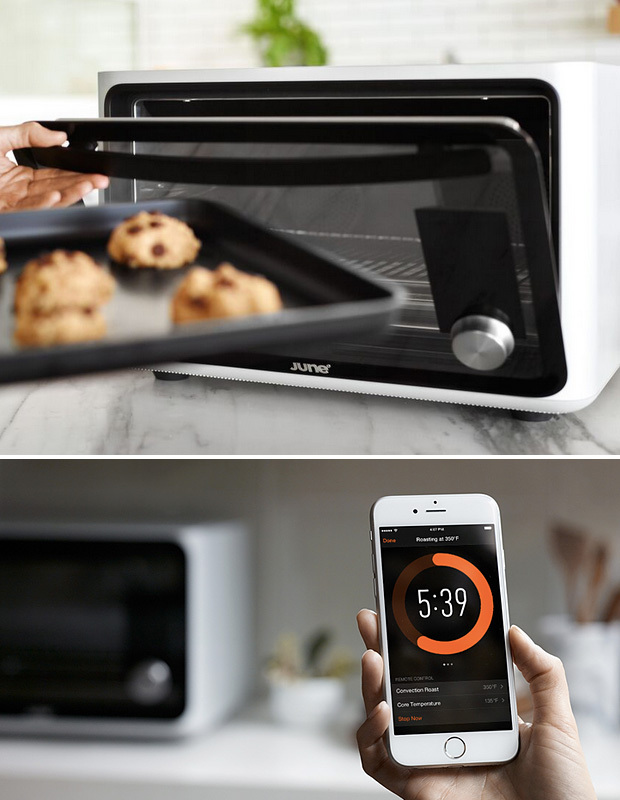 The June Oven is a connected appliance that helps you cook a meal with sensors, thermometers, HD cameras, and a companion application. Not only does June features six Carbon Fiber Heating Elements that heat up faster and more efficiently than similar machines, two fans for circulating the hot air and keeping an even temperature throughout, an integrated Core Temperature Probe, an HD camera that recognizes popular foods, and a built-in digital scale, it also has an NVIDIA Tegra K1 Quad-Core ARM Cortex-A15 2.3 GHz processor to do all the calculations needed to offer the best possible cooking advice and temperature control. Its WiFi module connects to your network, and allows you to control the device from anywhere. This means better, tastier food, prepared more easily. And for such a high-tech package, you will of course have to spend a pretty penny: $1,495, with a $60 deposit now and shipping in Spring 2016.